Let’s quickly take stock of the 2013 Giro before moving onto the Tour de France build-up. This year’s Giro was mostly a cold, brutal race – frequently wet or snowy – but we learnt a lot. Vincenzo Nibali established himself as one of the favourites for any Grand Tour he enters from now on. His climbing has always been good, his descending is virtually unsurpassed and he can now time trial very creditably as well. He won’t be at the Tour this year, but he will surely have a tilt in 2014. Bradley Wiggins looked like a kid recently-shorn of stabilisers when descending in the wet. No-one knows how he’d have fared had he remained healthy, but bike races do tend to involve a certain amount of going downhill, so he needs to sort this out. Adding actual stabilisers is not a solution. Cadel Evans is not finished yet. If he can finish third in a Grand Tour when undercooked, he could yet threaten in this year’s Tour now that he’s got some miles in his legs. Most of us would need a year off after three weeks doing what these guys have just done, but professional cyclists are not like us. Samuel Sanchez cycled up a mountain on one of the rest days. That’s his idea of recovery. Ryder Hesjedal is one rider we didn’t learn much about. He fell ill and so we don’t know if he’s managed to recover last year’s Giro-winning form. I guess we’ll find out more at the Tour. I covered this yesterday really. Mark Cavendish completed the full wardrobe of Grand Tour points jerseys and will be hugely relieved to have done so. Even with five stage wins – pretty much every single one in which he had a realistic chance – it was still a close run thing. Surely a guy who wins a quarter of the stages should win the points classification by a significant margin? Even with the mountains classification already secured, Stefano Pirazzi was still hoovering up any available points on the penultimate stage. There is something wrong with him, but you do wonder what he could achieve were he to direct his ability to launch four billion attacks a day towards stage wins or the general classification. He’s only 26, so maybe that’s his next step. I think Betancur warrants a subheading of his own. While he didn’t do as well as his fellow Colombian, Rigoberto Uran, he is three years younger and has arguably shown more consistent climbing ability with all his podium places. If he could learn to time trial half-competently, he could make a far more serious challenge in a Grand Tour. My first recommendation is that he gets himself a far more aero haircut. Really enjoyed reading your posts every morning whilst consuming a hearty breakfast and giving thanks that I don’t have to get on my bike and cycle up a mountain in pouring rain/driving sleet. 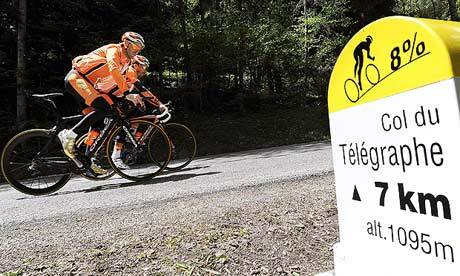 I thought the TdF looked tough enough, but the Giro – this year at least – has been on another level. Any chance Eurosport could employ you as a commentator? Do you think you could match Sean Kelly’s lively, witty, and totally enthusiastic style……….? When it comes to emotive delivery, Kelly is very much my role model. I also admire his persistence in saying “the Tour of France”. He speaks excellent French, but clearly doesn’t want to give them the satisfaction.